The above story, unfortunately, is true. When hospitals let bad doctors continue to hurt patients, those hospitals are putting patients in harms way, even if the doctor is not an employee of the hospital. The only way to prevent such tragedies and to hold hospitals liable for the damage they have done is to bring a corporate negligence (sometimes known as a negligent credentialing or negligent retention) claim. Only one Missouri case has tackled this issue head on, and that case was ultimately reversed on separate grounds. In Harrell v. Total Health Care, Inc., 1989 WL 153066 (Mo. App. W.D.) reversed on other grounds, 781 S.W. 2d 58 (Mo banc. 1989), the Western District Court of Appeals took note that it was dealing with a case of first impression. The Court of Appeals realized that the corporate negligence doctrine was not a recently developed theory, rather “it is no more than the application of common law principles of negligence.” Id. at *4. The court ruled that a hospital owes a duty of care to protect patients from foreseeable risk of harm. A breach of that duty is corporate negligence. Id. at *5. In Harrell, the plaintiff alleged that defendant Total Health Care owed a non-delegable duty to the insurance plan subscribers to use reasonable care in selecting doctors to participate in the insurance plan. Id. at *3. Plaintiff was able to prove that the defendant made no inquiry into the doctor’s competence or reputation and that if such an inquiry had been made that the defendant would have found that the doctor had a history of malpractice claims. The insurance plan doctor that referred the patient even testified that she assumed that the defendant insurance plan had investigated the credentials of the defendant doctors. Id. at *3. In recognizing the corporate negligence theory in Missouri, the Court of Appeals held that a hospital or insurance plan has a common law duty “to conduct a reasonable investigation of physicians to ascertain their reputation in the medical community for competence. What may constitute a reasonable investigation and what facts may indicate questionable competence or lack of skill by a doctor are matters for jury determination on a case by case basis.” Id. at *5. The Missouri Supreme Court ultimately held that the defendant insurance plan was immune from suit due to an unrelated statute, but as the Western District Court of Appeals held, “the immunity is not reached unless it first be determined that plaintiff’s evidence stated a cause of action.” Id. at *1. The Supreme Court left undisturbed this necessary preliminary determination. Harrell v. Total Health Care, Inc., 781 S.W. 2d 58 ( Mo. banc. 1989). In addition to Missouri, North Carolina, Wisconsin, Arizona, Colorado, Georgia, Illinois, Michigan and New Jersey are just a few of the many states that have officially recognized a corporate negligence theory. Although it may be called “negligent credentialing” or “negligent retention,” it is clear a hospital has an ongoing duty to protect patients from harm by doctors. One of the first states to explore the corporate negligence theory was Illinois. In Darling v. Charleston Community Memorial Hospital, 211 N.E. 2d 253 ( Ill. Sup. Ct. 1965), the Illinois Supreme Court held that a hospital had a duty to act upon complaints of nurses regarding substandard care by a doctor. Id. at 258. When the hospital “failed to review” the doctor’s care, the court upheld a verdict for the plaintiff. Id. at 261. The Supreme Court of Wisconsin has held that “a hospital is under a duty to exercise reasonable care to permit only competent medical doctors the privilege of using facilities.” Johnson v. Misericordia Community Hospital, 301 N.W. 2d 156 (Wisc. Sup. Ct. 1981). A failure to investigate a medical staff applicant’s qualifications, either by looking at court files or talking to peers, gives rise to a foreseeable risk of unreasonable harm. Id. at 164. A duty to formulate, adopt and enforce adequate rules and policies to ensure quality care for patients. The Court in Thompson went a step further to hold that “if the attending physician fails to act after seeing abnormalities [in the patient’s condition], then it is incumbent upon the hospital staff member or employee to so advise the hospital authorities so that appropriate action might be taken.” Id. at 709. A negligent credentialing, negligent retention or corporate negligence case raises several hurdles for practitioners, both plaintiff and defendant. The first of which is experts. To prove that a hospital has a certain duty of care, expert testimony may be required. See Johnson v. Misericordia Community Hospital, 301 N.W. 2d 156, 172 (Wisc. Sup. Ct. 1981). Possible experts include doctors who have served on peer review committees, hospital administrators and academics. Many doctors have served on peer review committees and/or committees that grant and review privileges. The expert need not say if the particular hospital deviated from the standard of care, although a jury may find that helpful, but simply needs to set forth the standard that an ordinary hospital should thoroughly investigate a doctor prior to granting privileges and have in place a procedure to continually review a doctor’s qualifications, reputation and competence. Those stops must include, at a minimum, soliciting information from peers (including those not on a doctor’s application), determining if the doctor is properly licensed and if that license is being challenged, and inquiring whether there have been malpractice suits and loss of privileges. Another source of experts are current and former hospital administrators. These experts can bring credibility to a case by drawing a clear line between a deviation from the standard of care by a doctor (medical malpractice) and a simple case of negligence by a hospital. Remember that the two theories differ greatly and involve separate duties with separate caps on damages and separate statutes of limitations. The final area to look for experts in is academics. Many major universities offer undergraduate and graduate degrees in hospital administration. These professors provide a true neutral approach and are often on the cutting edge of change in the health care industry. Professors can bring to the table “text book” literature and are experienced in teaching to a jury or a classroom. Lawsuits—determine every location a doctor has had privileges and find any lawsuits. Nurses’ Depositions—when a doctor commits malpractice, it is important to depose the nurses who provide care. We deposed a nurse in one Missouri corporate negligence case who testified that she was scared for her patients’ health every time the defendant doctor touched a patient. Complaints—Quality Assurance Reports, Incident Forms and Complaints are outstanding sources of discovery. Although these documents may be partially subject to Missouri’s peer review statute, R.S.Mo. § 537.035, the Missouri Supreme Court has “determined that no peer review privilege exists under Missouri law for factual statements.” State ex rel. Faith Hospital v. Enright, 706 S.W.2d 852 ( Mo. banc. 1986) (citing to State ex rel. Chandra v. Sprinkle, 678 S.W. 2d 804 ( Mo. banc. 1984)). Other incidents—it is also important to look for other acts of negligence by the same doctor. Since hospital employees have a duty to report substandard care by a doctor and the hospital to act upon that information (see Darling), other incidents of medical malpractice by the same doctor at the same hospital will be important evidence. National Practitioner Databank—in order to investigate a negligent credentialing claim, a plaintiff must be able to determine what type of background investigation was conducted by the hospital. Most hospitals order a National Practitioner Databank Report. This report will be crucial for both the defense and plaintiff in a corporate negligence suit. Insurance Files—the National Practitioner Databank is often incomplete and not all claims are reported. Most medical malpractice insurance policies require that the doctor inform the insurance company of any past, present or potential claims when the doctor first applies to the company for coverage. Additionally, those policies require a doctor to notify the insurance company any time there is the possibility for a claim. The insurance company’s file is a source for the discovery of other incidents. 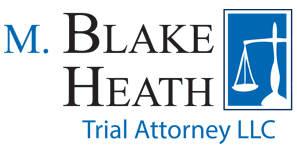 Our representation in medical malpractice cases has revealed that the corporate negligence theory is needed in Missouri. The case referred to in the opening paragraph is one such case. The allegedly negligent doctor had three lawsuits (and settlements) before landing at this rural Missouri hospital. Within four days of his first day of practice at this hospital, nurses filed the first of 30 Quality Assurance Reports, Incident Reports and Complaints against the doctor. Prior to allowing bile to leak into the patient’s abdomen, the doctor was sued six times. At least six complaints had been filed with the Missouri Board of Healing Arts. The hospital, however, never revoked his privileges. The emergency room doctor who saw the patient misdirected his question to the patient of “Why did you let him cut on you?” That question is for the hospital and lies at the heart of the corporate negligence theory.